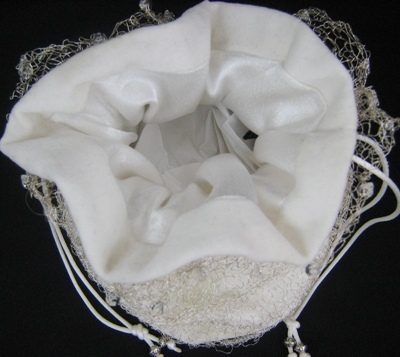 Description:- Another of Kim's "Medieval Glomesh" series, this bag is made from hand-dyed white & ecru cotton velvet; mainly white, with just a hint of ecru. 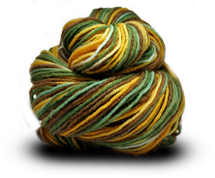 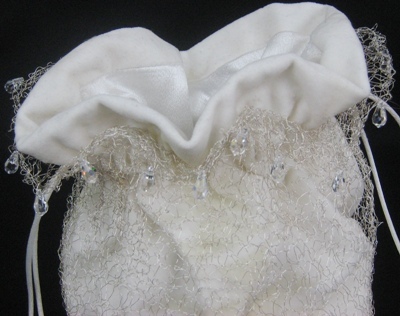 It is lined with white satin. 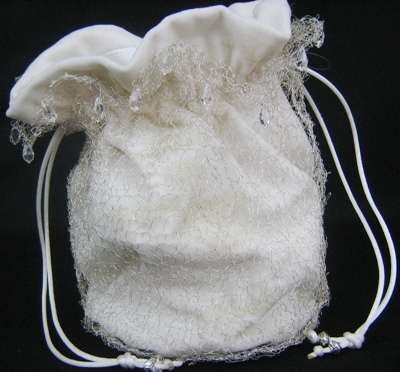 The bag is encased in hand-knitted non-tarnish fine guage silver wire. 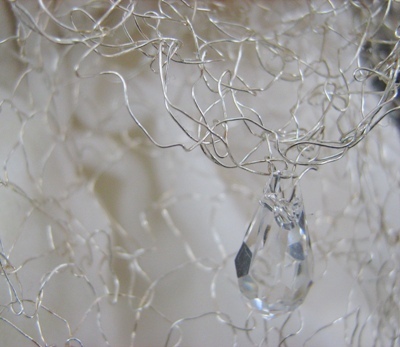 Hanging from the top circumference are 20 x 7mm Swarovski teardrop crystals. 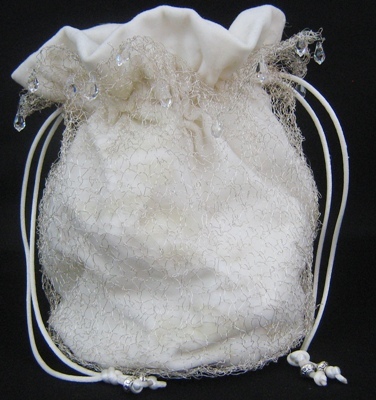 The bag is finished with white draw cord and silver metal beads. 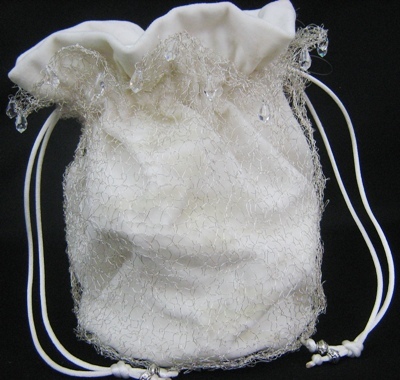 This bag is beautiful for Brides, Debutantes, and as an elegant and interesting finishing touch to any outfit.